Dusky Indigo High Waist Shaper Jeggings is rated 4.3 out of 5 by 36. Rated 1 out of 5 by LondonBuys from Terrible Jeans These jeans fall while your walking, it's a shame I didn't test it out proper before going out in them! It just looks awful and has proven a waste of money. Maybe buying a size down will help, its been a complete disappointment for me. Rated 1 out of 5 by LeeniBeans from Holes appearing and review rejected!! I bought these because I loved the fit and style but was very disappointed to see that after only a matter of weeks, there are holes appearing at all the corner seams! The elastic is also coming apart. As I bought five pairs in different colours, this is obviously not acceptable. And to add to this, my original bad review was rejected! Not a happy customer! Rated 5 out of 5 by SuzyBlu from THE best jeggings I have ever worn! Incredible fit. my 15 year old daughter asked if I had lost weight (NO!) as apparently I had a thigh gap??!! they make your legs look toned, light your bottom and flatten your tummy. So good I ordered a pair for my daughter and another two pairs for myself! 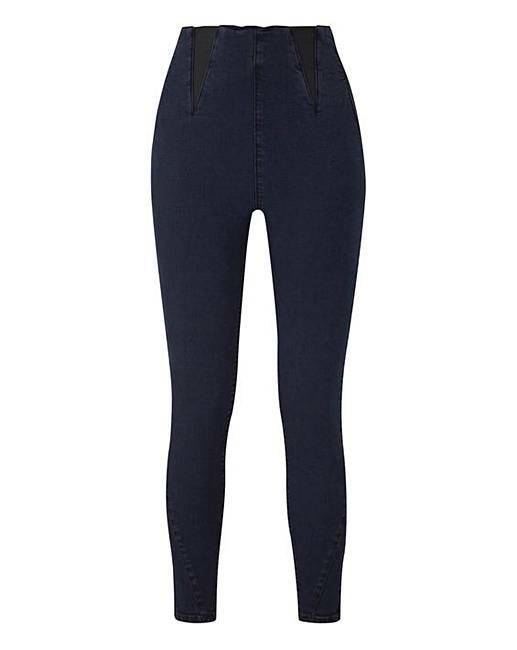 Rated 5 out of 5 by Joyous1 from Great fitting jeggings Really lovely quality jeggings. Only thing I would change is the length would have liked them to be a couple of inchrs longer. They will be good for spring with pumps or sandals. Rated 5 out of 5 by Paula from Great fit . These jeggins do what they say ,I feel all slim and held in when I wear them . Rated 5 out of 5 by LGardiner from Holy grail! I bought these about month ago and have lived in them every day since. True to size and the tummy control is amazing and they really flatter your figure and slim down my hips and legs. They don't roll down or "cut you in half" like other jeans I've owned and they are super comfortable. I ended up getting a pair in the mid wash blue and black as well. If they had them in others I'd get them in every one available. They're amazing and are literally the best jeans/jeggings ive ever owned. And they have FRONT POCKETS!! 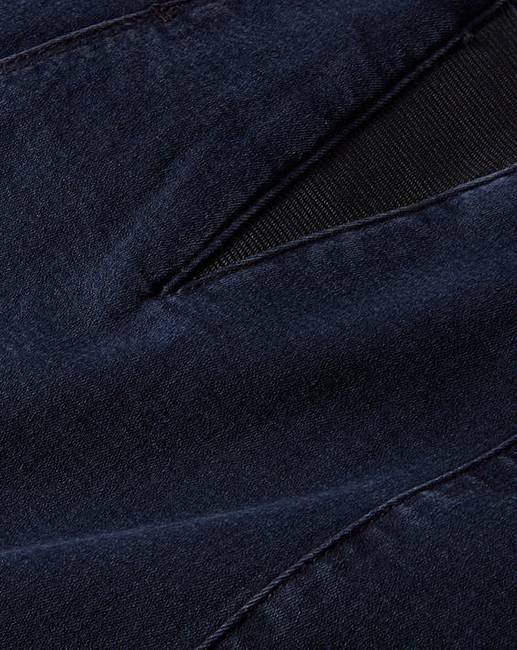 Actual front pockets!!! I can't rate them enough.